The aim of the game is to throw leather balls - coloured red or blue as close as you can to a white target ball. Boccia (pronounced 'Bot-cha') is a sport similar to bowls for athletes with a disability. Boccia is totally inclusive and can be played by anyone regardless of age, gender, ability or disability. 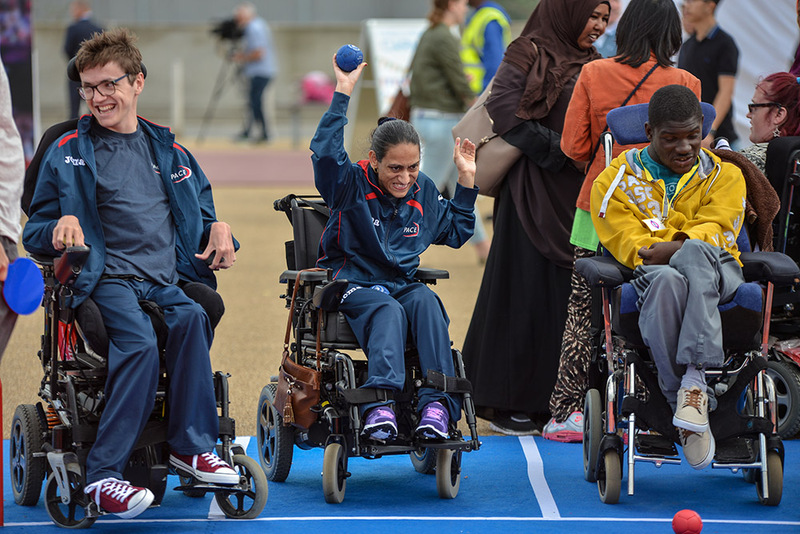 Boccia can be played by individuals, pairs, or teams of three. The balls can be moved with hands or feet, or, sometimes, with an assistive device. It is played indoors on a court similar in size to a badminton court. Boccia England is the National Governing Body for Boccia and is the best starting point when looking for more information about the sport and finding your nearest Boccia club.